Lets get one thing straight – I am not a chef. I have not been professionally trained, I have not worked in a kitchen and I have not written a book (yet!). But I am really passionate about cooking and food. My real passion is home cooking – good honest and simple food. 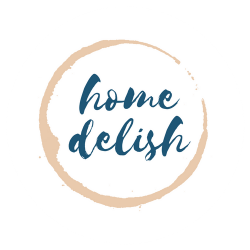 Because I am a cook and not a chef, my methods and knowledge are self taught by cooking for my family and friends – so you can count on me not to show you anything too fancy or complicated – I offer affordable, simple home style recipes that anyone can master! Influenced by my Polish heritage, my mum’s cooking and my late dad’s cooking, places I’ve been, meals I’ve really enjoyed and of course my lovely global food blogging community – I like to create meals anyone can cook at home anytime of the week! Of course, I don’t know everything about cookery, and I learn new things everyday! There are 100’s of things I’ve never even tried, heard of or afraid have a go at! Follow my blog and social media and join me on my cookery journey!